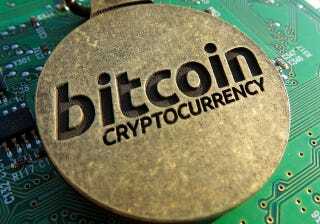 For companies and startups in the Bitcoin space, having a name that starts or ends with affixes Bit, crypt and coin is more of a rule than an exception. itBit, Coinbase, Coindesk, BTCC, Bitpagos, Bitfury, Cryptojeweler, Cryptocoinnews and the list goes on and on. A moniker that follows this format easily identifies with the enthusiastic Bitcoin community, which is often the core market targeted. It goes a long way as well in marketing the Bitcoin or blockchain technology to those further away from the center of the Bitcoin ecosystem. But is it time this changed? Probably, you are wondering why. Indeed, when companies like BitLendingClub were launching, Bitcoin was still fighting to get into the mainstream. “Having a Bitcoin-related name was a testament to our enthusiasm about the protocol and our effort to grow the Bitcoin ecosystem,” Mr. Gantchev further said. Loanbase is not the only company that has chosen to give the notorious Bitcoin affixes its back. On October 14th, 2015, Bitreserves, a currency, stocks and precious metal exchange platform that uses the blockchain for tracking the assets and Bitcoin as a medium of exchange, became Uphold. Of course, not everyone thinks that it is a good idea for Bitcoin brands to drop names that carry the Bitcoin DNA. Martin Tillier a financial market writer and desk trader is one of those in that school of thought. At least, in the case of Uphold, he wrote an opinion piece on Nasdaq in which he explains how its top management had never supported Bitcoin- right from the moment it set up the company as Bitreserve. Whatever the case, apart from just avoiding the affixes because Bitcoin is now mainstream or creating room for more services, this could be a strategic move for these brands to avoid the beating that Bitcoin’s image has taken from negative associations such as Silk Road and portrayal in the mainstream media as a technology that enables crime in wild west of the internet (read dark web). Perhaps it is time the industry acknowledged that not every user is interested in knowing what they use is built on or how it works under the hood. After all, few internet users know what HTTP is or how VOIP works. Do you think it is time Bitcoin brands dropped the affixes Coin, Bit and Crypto from their name?